This luxary piano painted white tea wooden box is made from solid wood. Compartment size is 88x73mm. 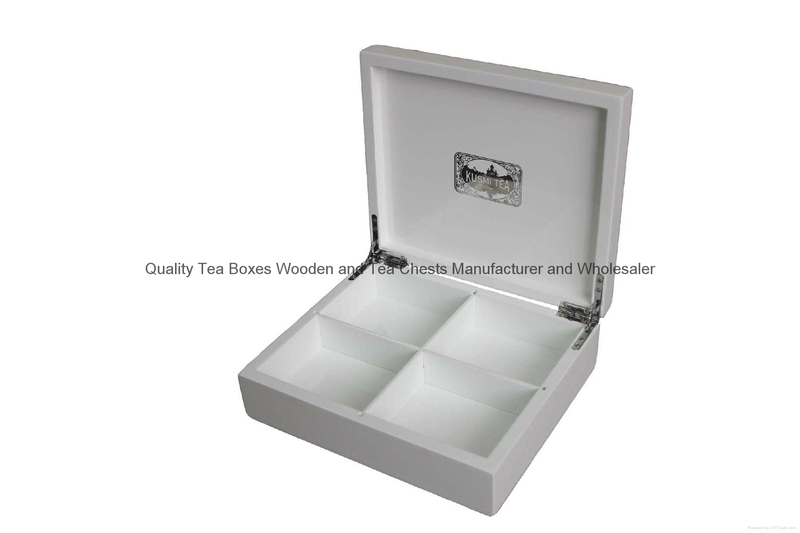 Crafted with details of this tea wooden box can be glossy finished or mat finished. Logo can be embossed with gold or black color or with branded plate both inside outside the lid. 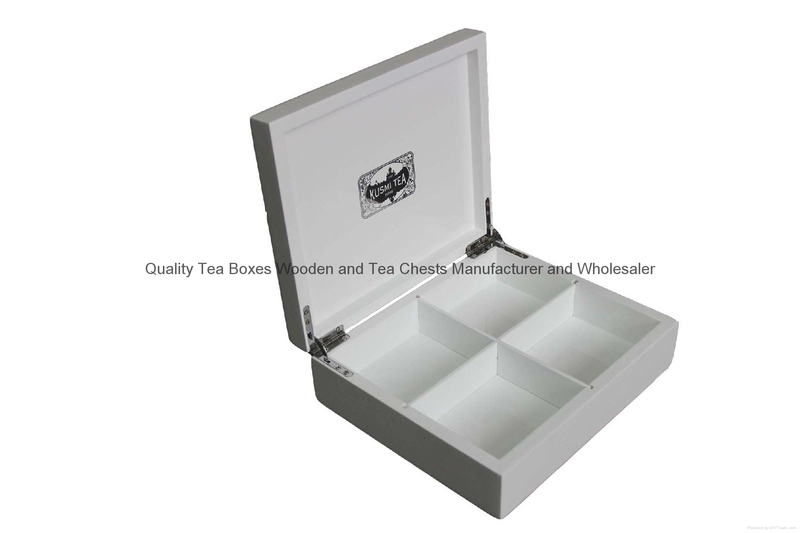 With chormed supporting hinges and magnet closure, this box is much more steady constructed and modern for your tea bags displaying and packing. Outside the four corner on the bottom, there are rubber mat to avoid any scratching on the table. 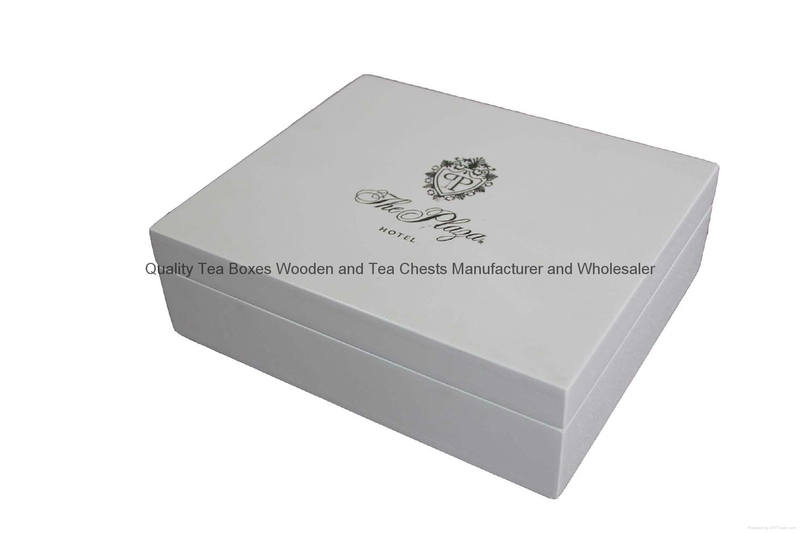 If you would like to find a quality tea wooden boxes manufacturer or wooden tea boxes and tea chests wholesaler, please contact us directly.